Please head over and see what I am up to and find some great crafty inspiration. I am posting this project as I was the Guest Designer at The Bug Bytes Blog. Be sure to head over there and leave a comment on my post. I will select one random commenter to get a cutting file or digital stamp of their choice. You can click HERE to go directly to that post! I also used my Gypsy. I used my Gypsy to cut the heart just the right size. I used my Gypsy and Bloom to cut out the Medallion. I used my Gypsy and Sweethearts to weld and cut out the love with the flourish. 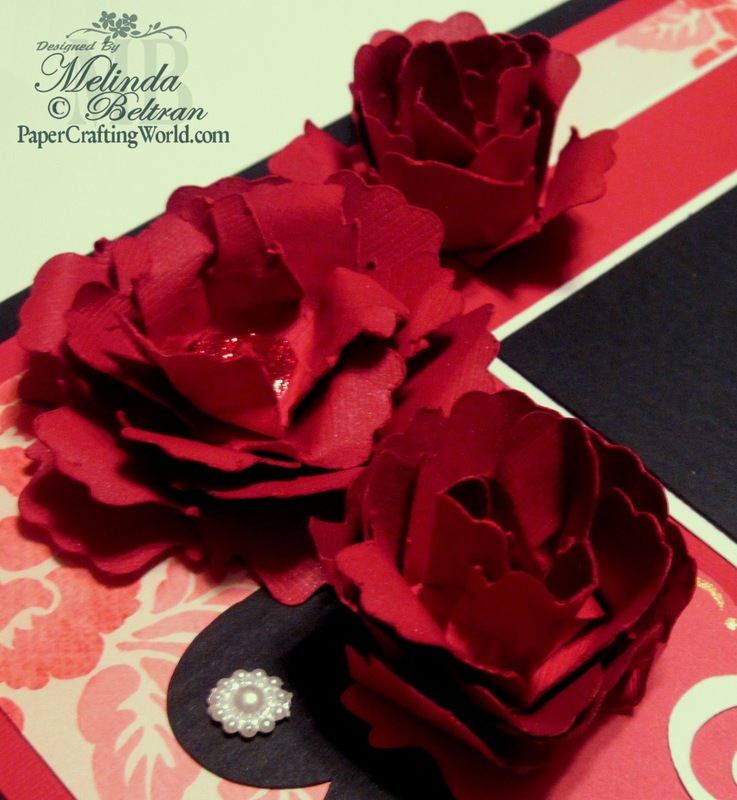 I used my Gypsy and Accent Essentials for the Scalloped Border Strip. I used my Gypsy with the Bloom cartridge to create the rose petals. I welded one of the images on the bloom cartridge into a triangle shaped petal. Here is the Keys used to find the “petal” in its singular form. To create the rose, I simply staggered and layered the petals. I did use some Glimmer Mist to add some shimmer to them as well as make the paper more pliable. This is so that you can shape the petals. Well that’s my project for today. I hope you have enjoyed it. I want to thank Pam and all the Bug Bytes girls for letting be a part of such a wonderfully talented team of crafters :-). Our Design Team is hard at work getting some sweet “paper-fections” done for you! A lot of great blog candy to be had too! I will post the Gypsy files on here as soon as my “G” is finished updating.